In 1953 Mrs Louisa May Merrifield was 46. She was married to Albert Merrifield, 71. She had been married twice before and both her previous husbands had died. She had had twenty jobs in two years when she saw an advertisement. The advertisement offered board and lodgings in return for acting as caretaker for Sarah Ann Ricketts aged 79. 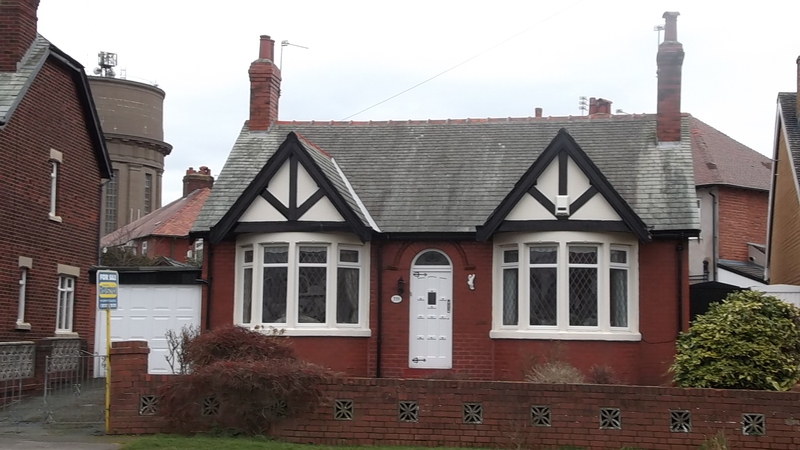 Mrs Ricketts lived in a bungalow on Devonshire Road, Blackpool, worth £3000. Mrs Ricketts was a lively soul. She lived on a diet of spoonfuls of jam and nips of rum and brandy. She was a will-changer. Her two previous husbands had both died as a result of suicide by gas at her bungalow in Devonshire Road, one feels there is a story there but it is outside the scope. Mrs Ricketts took a shine to her new housekeepers. She had her will altered so that they would inherit the bungalow. She soon changed her mind. She complained to van-drivers that she was hardly fed and that her housekeepers spent a lot on rum. In those days a middle-class homeowner such as Sarah Ann Ricketts would have goods such as rum and groceries delivered to her home. Louisa May Merrifield was concerned that Mrs Ricketts would change her will in favour of Alfred, or that Mrs Ricketts’ daughter would dispute the will. She asked a doctor to visit to confirm Mrs Ricketts was of sound mind. The doctor was able to confirm this. And then Sarah Ann Ricketts died. She died five days after the doctor had confirmed that she was of sound mind on the 14 April 1953. The doctor refused to sign a death certificate and a post-mortem found that Mrs Ricketts had died as a result of phosphorous poisoning. Phospherous was available in the rat poison Rodine where it was put on bran as a bait. It cost one shilling and sixpence a tin. Despite searches no Rodine was found in the bungalow or in the garden. There was no evidence that Sarah Ann Ricketts or Albert had bought Rodine. The evidence that Mrs Ricketts had died as a result of phosphorous poisoning was to be disputed. Mrs Merrifield was a suspect. While the police where searching the garden she hired the Salvation Army to play “Abide with me” outside the bungalow. She also entertained journalists with tea and cake. One journalist remembers looking at the cake that she said she had baked herself and then eating it anyway. The same journalist talks of feeling affection for Mrs Merrifield. Finally Mrs Merrifield and later her husband Albert were arrested. One distinguished expert said that Mrs Ricketts had died of phosphorous poisoning. Another claimed her health was extremely frail and she could have died of liver failure. But Mrs Merrifield did not make a good impression on the jury. She would arrive at court each day in a taxi beaming and waving. It was clear that she enjoyed the attention. Simpleton or not it is hard to imagine the state of mind of Mr Merrifield as he returned to the bungalow in Devonshire Road. He had after all inherited half of it. There he was in his inherited bungalow awaiting the hanging of his wife, a husband about to become a widower. 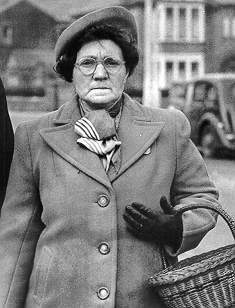 On 18 September 1953 Mrs Louisa Ann Merrifield was hanged by Albert Pierrepoint who had spent his honeymoon in Blackpool. Mr Alfred Merrifield did not comfortably fit the role of grieving widower, he donated his wife’s clothes to Louis Toussauds and until his death he used to give talks on the incident. He came to an arrangement with Mrs Ricketts’ family and left the bungalow in Devonshire Road. He took to hiring caravans and getting into disputes with his neighbours. Try to imagine these vanished people and wonder what they were like? Mrs Merrifield came from Wigan and was quite wealthy at one time. She was affectionately remembered in Wigan. She met Mr Merrifield in hospital when she was attending her dying husband but she managed to slip in an extra husband who also died before she married Mr Merrifield. Why did Mrs Ricketts two husbands chose the gas oven? What in the name of God was the courtship of Alfred and Louisa May like? Could it be that Louisa May Merrifield was loud-mouthed and strange but not a murderer? 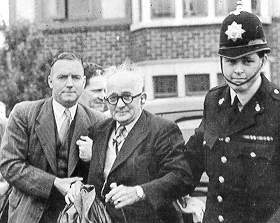 Could it have been suicide or even the “tragic simpleton” Alfred Merrifield? Or not poison at all as one of the medical experts thought? Could it be that Mrs Merrifield’s behaviour was a consequence of stress or even some kind of breakdown? There was an appeal but, it failed. Alfred Merrifield lived on until the 60’s. Did he think affectionately of his young bride? Did he think about conversations with Louisa May in that bungalow? What do you talk about with a wife who is about to be hanged?